Interview - THE RULER WITHOUT A KINGDOM = Sunday Times | Ismaili.NET - Heritage F.I.E.L.D. His Highness Prince Karim Aga Khan IV, is the spiritual ruler of twenty million Ismaili Muslims in Pakistan, India, the Middle East, Far East and Africa. He is also their effective political and economic adviser. If pressed to describe, in Western terms, the way he exercises his authority over his people he says his function falls "somewhere between that of a Head of State and that of a Pope" in practice He actively performs both these roles. 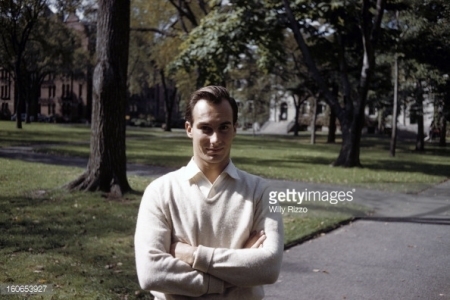 He is only 28, and has been the Aga Khan or Imam of the Ismaili Sect since he was 19. He has therefore probably known more power and influence at a younger age than any other man in the contemporary world. In Britain he is known to every newspaper reader, but only as a rich young man who owns racehorses, throws parties, and is building a luxury holiday camp called the Costa Smeralda in Sardinia. This sometimes makes him angry. The Aga Khan saw me in his house on the Ile de la Cite in Paris, an extraordinary urban chateau converted by an eccentric French architect who went bankrupt in the process. The room where we talked was filled with large clumps of gadioli in ceramic vases, Louis XIII furniture stood against bare stone walls, the fireplace was surrounded with a heavy baronial carving of, among other heraldic knickknacks two rabbits chewing parsley. He sat on a sofa, holding himself very straight, and talked softly, cautiously, pausing from time to time because of a slight breathing illness. He looks older that his photographs. His face is thinner, more serious, his hair sparser. When I saw him, he was in mourning for his half-brother Patrick Guinness, who had been killed in a car crash a fortnight before. What is most impressive about talking to the Aga Khan is that his manner is absolutely that of a modern mid-Atlantic young man (only the slightest of lilts in his voice betrays any non-Western influence) but it is none the less very clear, throughout, that here is a man with absolute authority over twenty million souls. The only way his responsibilities seem to weigh on him is to make him rather sober and hesitant with someone he does not know well. When thus on guard, he appears to welcome frank even ruthless questioning on most topics; he knows he has effective answers. He smiles often, but does not laugh easily. He does not make jokes. He is casual, and charming but can produce a burst of autocratic displeasure when it suits him. I asked him if in the modern Western world where he mostly lives, he ever felt an exotic, anomalous figure. "No" said the Aga Khan. "Why should I?" Are you, for all believing Ismailis, a symbol of their Faith? "Yes. Since My grand-father, the last Aga Khan, died, I have been the bearer of the "NOOR" a word which means "The Light" The NOOR has been handed down in direct descent from the Prophet. But My work and responsibilities overflow into the practical side of life." You have been compared to the Pope. Is your word, like his infallible? "The Imam's word on the Faith is taken as an absolute rule. Every Ismaili is expected to accept it. The Community always follows very closely the personal way of thinking of the Imam. It's one of the particularities of Ismailis. An Ismaili who did not obey My word in matters of Faith, would not be excommunicated, he would still be a Muslim. He simply would no longer be a member of the Jamath - the Community of Ismaili Muslims. "One has to make a very careful distinction here between worldly and religious matters. An Ismaili may ask My advice on a worldly problem, then not accept it. But if he were to ignore the Imam's decision on matters of Faith, the Community pressures on him would be very strong." Have you used your power to make any radical changes in the Ismaili religion? "You don't change the religion. But you might change certain traditions. For instance, My grandfather made it quite clear to the Ismaili Community that women were not to wear the veil, and they no longer do. I have not made any strong directives of this type. But I hope I am modern in My outlook, and I know that in many ways I am a different sort of person from My grandfather. This will necessarily subtly change the character of the Faith." Do you feel you've made any mistakes?
" Yes, of course I have." "One is bound to regret mistakes. They have definitely caused damage and one can only hope to put them right. One makes mistakes unknowingly, because one has been ill-advised, because of hasty decisions, because of bad judgment - there are many reasons." Do you feel you are misunderstood? "Sometimes. I don't think there is any idea in Western Europe of what I stand for and what My work is. This is partly because newspapers are businesses and many have to make money out of gossip and personal details, partly for real historical and religious reasons. "In the West, you are used to seeing religious figures completely divorced from ordinary life. You require them to be so. With us this isn't the case. The Head of the Faith can lead an absolutely everyday life. Our Prophet Mohammed was himself after all a business man and a leader of the army. In the Christian world you have this heartrending dichotomy between what is narrowly good and what is worldly. We try to attribute goodness to each of these areas, in proper balance." I think perhaps in the West there is some misunderstanding and occasionally resentment towards you because you are supposed to be so rich. Because Christianity preaches poverty, and modern politics preach egalitarianism, we tend to think the rich are frivolous, or evil, or both. "But in Islam, worldly goods don't have the fascination they do here in the West. Our religion does not expect its true believer to live as beggars, or appear to live as beggars, all their lives." Nor, in practice, does Western Capitalism. "No, but the Christian religion, at its most extreme or puritan, does"
"With us, a poor Muslim will be happy to meet a very rich man, if this rich man has done good for Muslim society. And if a rich man has proved he wishes to help his society, then his desire is to display his riches. Making money isn't badly regarded by any Muslim. It is, however, when help is given anonymously that it's most commended by Islam. "There is another difference between us and the West that causes trouble. Take the case of marriage. You may be surprised that I mention this, but it is a problem. In our Faith, the element of Puritanism does not influence what a man can do in his private life. For a Muslim, a marriage is not a sacrament. It is a contract between two human beings, and although they will pray and seek the blessing of God, they are not pushed out of their Church if they separate. In Western society, from what I've been able to tell, living here the fact that divorce is a sin, against God, causes tremendous heartburning. With us, there is not so much worry, all the time, whether one's relationship with one's wife should be dominated by religious or personal feelings." You seem very relaxed about this. I envy you. "And yet if you examine the number of divorces in the Muslim world you will find we do not have half so many as the Christians." Do you avoid these troubles because you're not worrying at them all the time? "Not exactly. It's just that the whole concept of God's position towards the human being in society is different. What is beautiful in life is also a revelation of God . We don't have to experience him only in discomfort, pain and suffering. Don't misunderstand me. This doesn't mean we can go and live a barbarian life, that we can be promiscuous and live in a most unbecoming way, that we can get drunk and live on opium. Not at all." "It is not allowed. You are severely reprimanded. There is a very clear set of rules by which you can live." Could you explain the Muslim attitude to drink? Isn't that, perhaps, puritanical? "Our belief is that the thing which separates man from the animals is his power of thought. Anything that impedes this process is wrong. Therefore alcohol is forbidden. I have never touched alcohol. But this, to me, is not a puritan prohibition. I Don't want to drink. I've never wanted to drink. There's no pressure being placed on me by my religion." I think another reason why your role is underrated in the West is that our important public figures are rather expected to be extremely sombre and dutiful in public and enjoy themselves in private. Whereas you seem to enjoy yourself in public and do your serious work in private. "It is fatuous to think that if I am on the racecourse in the afternoon I have to abandon everything else to get there. That just isn't the case." You have explained how it is not inconsistent for you to perform the roles of Pope, Head of State, racehorse owner and real estate developer all at the same time. But how do you manage it, Physically? If I were in your position I would feel I couldn't do any single job adequately. "Of course the horse-racing and the Sardinia venture are incidental; if I felt for one moment they were making my religious and community work suffer I would abandon them. But I have a working day that allows me to do all these things. "I get up at six each morning. I have a quick breakfast, then dictate letters and memoranda for a couple of hours. During the rest of the morning I meet people who may be from any of my activities..."
Don't you feel bewildered, sometimes, seeing a jockey, then a distinguished Muslim, then a Sardinian businessman, then a politician -isn't the contrast sometimes too abrupt? "Yes sometimes I do get dizzy. It is difficult to switch. But then I have an early lunch and afterwards, Perhaps, go racing for a couple of hours or if I am in Sardinia go on the beach. In the afternoon I work again, seeing people or dealing with reports and suchlike that I may not have to answer but still must read. I work till nine each evening because I must have as long a working day as possible, racing or no racing. And after that I have dinner, about nine thirty . After that I go to bed." "Don't be ridiculous. I can't. I am too tired. I think in the past year, for instance, I've seen no plays and only one film." "It was, wait a minute .... Ha Ha, Pussycat?... no Who are You cat?'.....no.' "What's New Pussycat?" "Yes I collect East Indian china, old silver, and bound books, both oriental and Western." No, none I skied in the Olympics and that was that. I'm lucky if I get eight days ski-ing in the whole year. The only exercise I get is some times I run in the woods at Chantilly at weekends. One has to have some exercise, if one is used to it. "I learned my way of working at Harvard. Eighteen months before I got my degree my grandfather died and I became Imam. I had to leave to visit the Ismaili Communities round the world. But after a while I thought, well, I can take the risk. If I don't get my degree now I never will. I set my self a target of nine months to do the year and a half's work. At the same time I had all my grandfather's responsibilities, and I wanted to make the Harvard football team. So you see I had to work out a pretty violent time-table. That last year at Harvard was a lot tougher than anything else I've been through since. It would be difficult to do it again. My health wouldn't stand it." I notice you take deep breathes when answering questions. Is this asthma? "No, it's the result of pressure. I enjoy being under pressure. I have been under pressure since I was seventeen. But sometimes the strain is much greater than people realize. Remember, I have lost my grandfather and my father within three years of each other. Now I have lost my brother. It is not easy bearing responsibilities in these circumstances. And it doesn't help anyone when some jumped-up little starlet tries to get her name into the papers by pretending she is going out with me." Was it your grandfather who made you to go to Harvard? "Yes I originally had put down for Massachusetts Institute of Technology." When he asked you to change, did you suspect he wanted you to be his successor? "No the Succession is secret until the Imam's Will is read. My grandfather had equally prepared my father (Aly Khan), my uncle (Sadruddin Khan), my brother and my self to succeed. None of us knew who it would be." Not even when you switched from engineering to Islamic History at Harvard? "No I did that because there were outstanding Arabists at Harvard at the time. And although my maths was very good for engineering, my physics and chemistry were lagging a bit. I simply suddenly felt the urge to study Islamic History." Am I right that the Ismaili Faith is an esoteric one, that's to say, only real scholars and experts have read all the crucial texts that enable them to understand the inner nature of your religion? Do you consider yourself expert in these? "Certainly I think my grandfather ensured that we had a thorough knowledge of the important books." Do you think if you hadn't become Aga Khan you might have made successful engineer? Or business man? Who can tell? I'm only 28." Do you feel happier here in the West, or in the East? "I feel happier, personally, in the East. But I must stay here to learn from the West what it can offer us. It's also true that I must retain a certain detachment from individual Ismaili Communities." Do you sometimes feel pushed one way by your feelings as a modern Western educated man and another way by your religion? You've told me the ways in which your faith makes it easier to come to terms with the modern world. Are there any ways in which it is more difficult? "Islam is a way of life, much more than Christianity. That's is an old, boring thing to say, but it's true. Now if we are to modernize our society we have to come into contact with totally different traditions. Basically the Ismaili Muslims have a choice between the Communist East, which would prevent us teaching our children the Faith, and the West, which has a set of materialistic and religious standards which are often at variance with ours. Imagine our difficulties seeing a civilization which is at least twenty years a head of us in roads, hospitals, and standards of living, but which if we imitate too closely will obliterate the reality of our Faith. Sometimes we are faced with the choice of either accepting habits and customs which have proved economically successful in the West, but go against what our Faith tells us to do, or continuing in our old ways, thus jeopardizing our economic development. "I will give you a simple example. One of our factories making jute, for instance, in East Pakistan. In a Western society a factory like that is working 24 hours a day, six days a week all year round. But in an Islamic society that factory can work 24 hours a day, yes, but with five breaks for prayers and a complete break in the month of Ramadhan, when the working force is reduced to less than half by fasting. "This is a terrible practical problem. Even among Muslim States they do not agree whether or not to work full time during Ramadhan." How would you advise your communities? "I think if it was, say, a steel factory in a time of national emergency, of war or something like that, then I would advise them to work during Ramadhan. If it were peace, and the production were not so vital, then I would advise them to observe Ramadhan." "But the real question is, where does one stop? If we are always importing from the West techniques to develop our economics, how can we stop importing alien ideas? You can imagine the problem. Every time we send our young men to Western Universities seven out of ten of them come back with alien traditions and tendencies of which they may be unconscious." You were a young man who went to a Western University. Did this happen to you? "Yes perhaps. But I think I understand the difficulties and hope to have overcome some of them." In all Christian societies the Churches are having to cope with increasing skepticism, particularly among the young. Some are modifying their doctrines, some are becoming more authoritarian. What happens with the Ismailis? "If one's faith is to be part of one's life then it has to come under questioning. The essential is that it should be understood, that's what would justify questing. This way it is an integral part of one; there is no choice between leading a normal life or a faithful life. In some ways, as I have said, it is easier for Muslims than for Christians. We do not have any hostility towards scientific knowledge. But in other ways it can be more difficult." With all these tensions and anomalies, have you ever felt your own faith threatened? Never a moment of doubt? "No, never a moment. In fact if anything I think my faith has become stronger and stronger." IT IS ON THE SUBJECT OF his personal life and interests that the Aga Khan is at times unforthcoming. Why should he seek to justify what he wants to do personally, he argues, to curious Westerners who have no conception or understanding of his life and religion? He doesn't seek publicity (this was his first interview for over two years), and he has absolutely no need to justify himself to the West. But when I suggested to him that if -none the less- he should ever feel tempted to win ungrudging approval in Western countries he had chosen the wrong hobbies, the Aga Khan was quick to take the point. The image-building personal projects an efficient Western public relations officer would persuade him to start would be, say, a hospital, an art gallery, a refrigerator factory and a Charitable foundation. Such institutions would at one stroke, make people feel he was utterly serious, dedicated, and progressive. On the other hand the two activities most calculated, in public relations terms, to win envy and perhaps hostility, were horse racing and luxury tourism. "You may be right," said the Aga Khan. "But you mustn't think I deliberately chose to do these things. They just happened. "When my father was killed I was faced with the question of what to do with his huge racing interests. It was a more difficult question then it seems. I wasn't in the least interested in horse racing, at the time, but my father's establishment was more than just a sport, it was a huge institution. There are seven stud farms in Ireland, five in France, a manager in Ireland, two managers in France, a trainer in France and more than 100 faithful staff, and between 280 and 290 horses "As a sport it was nothing to me. But I waited for six months and turned it over in my mind - I was well aware what certain people would think if I carried it on and what others would think if the stables disappeared- and in the end I decided I could re organize my life to include horse- racing , that it was worth it." Doesn't such an institution run itself? I imagine you must make many useful Western business contacts at the race track? At the Jockey Clubs in Paris and Newmarket? "No I'm not a member of either." Have you come to enjoy it? "I'll tell you something. I suppose by nature I like creation, and horse-racing is one of the most creative things a man can enjoy. Each year you are creating new racehorses. You're using your knowledge and experience, everything you know about the family and physique of the horses, their aptitudes and their weaknesses, to try and breed better stock. And then you're pitting this stock, the result of your own intelligence and the unknowns of nature, against other people's intelligence." Have you learnt anything from it about handling human beings? Do the same rules work in politicks as in horse breeding? Tell me about the Costa Smeralda. "Sardinia was a strange think. I never meant to go into real estate development. You can certainly say I may have made a mistake in making an original investment. Sometimes it seems like it when the complications amount. "But after my grandfather died I found the work so onerous, and there was so much misunderstanding here about the Imam and the Ismailis. that I felt I had to find a place where I could go and not be disturbed. So I joined a small group that had interests in Sardinia and found my self caught in a development that just grew. We found the place so beautiful, and we were so happy, that we decided we had to be very careful, because if not the place would simply become another ugly, over crowded tourist center. "We hope that in twelve years' time we will get what we want out of the place: a nice property for ourselves, which at the same time does not lose money. "But let me tell you this, as long as I'm President of the Development we will aim to get the medium- or low- Income holidaymaker to come and enjoy the Costa Smeralda. "I think people imagine it's all luxury. They always connect vast riches and opulence with my name because I'm meant to be such a very, very rich man. But the only reason we started with luxury and first-class developments is because you've got to give a project like this, prestige and status. I've never known a development that started with camping and caravan sites and so on to be a success in the long run. What's more, at present there's no good airport near Costa Smeralda that could allow tourist charter flights to come in. Until that airport is built-as it will be in about two years' time- there is no point in catering for people who can't get there. Do you feel Sardinia is a success so far? It has been your fame and prestige that have attracted attention to Sardinia. The Costa Smeralda owes more to you than you do to it. "Perhaps. But I must see it finally succeed." It comes back again to this persistent Puritanism in the West. We admire the doctor, the beggar and the man who gives up all his worldly wealth. Not those who make fortunes out of indulgence or enjoyment. "But we haven't made a penny out of Sardinia! Not yet, anyway."